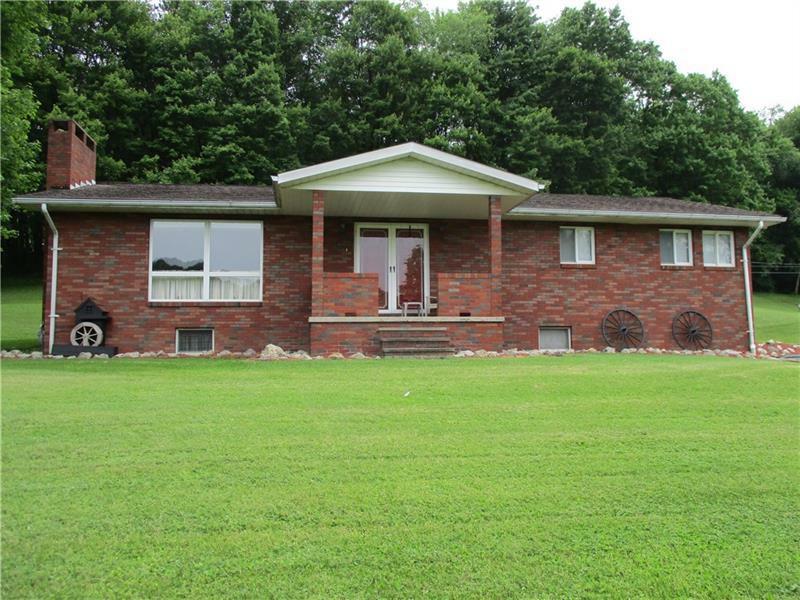 Meticulously maintained 3 bedroom, 2.5 bathroom brick, ranch house on 1.3 scenic acres in East Franklin Township. 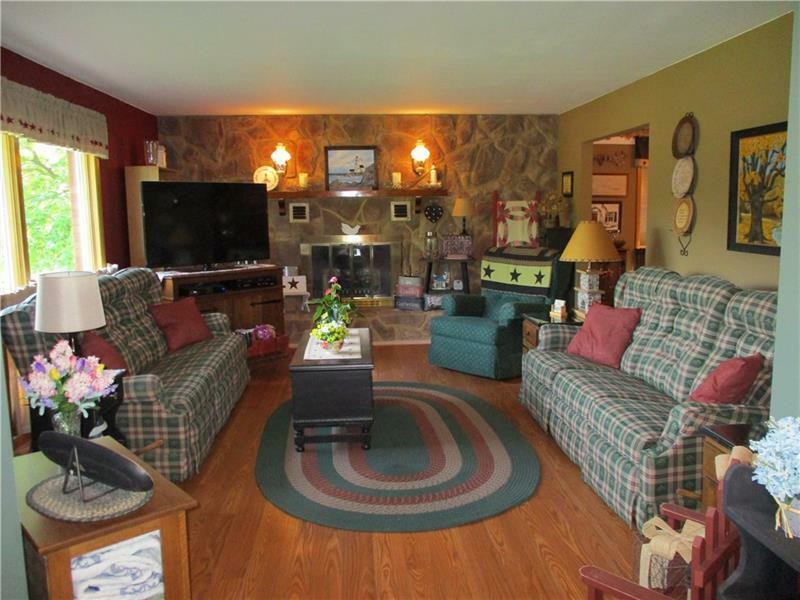 Double front doors open to a foyer on the main level which leads into a spacious living room with stone fireplace. The main level also includes 3 bedrooms that have plenty of storage, with the master bedroom containing a master bath, another half bath, as well as a spacious dining room and eat in kitchen. Sliding glass doors lead to a large back porch with plenty of yard to enjoy. 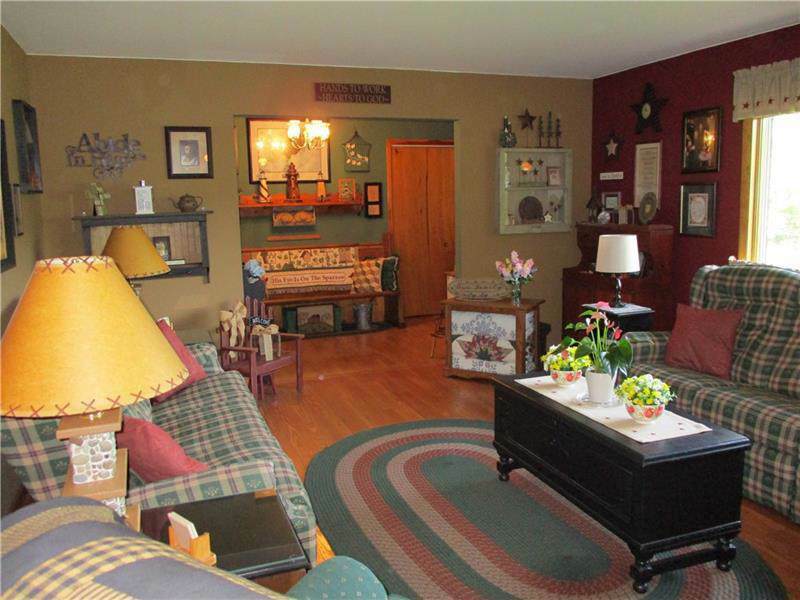 Downstairs features a finished living area with a cedar closet and fireplace, as well as a full bath. 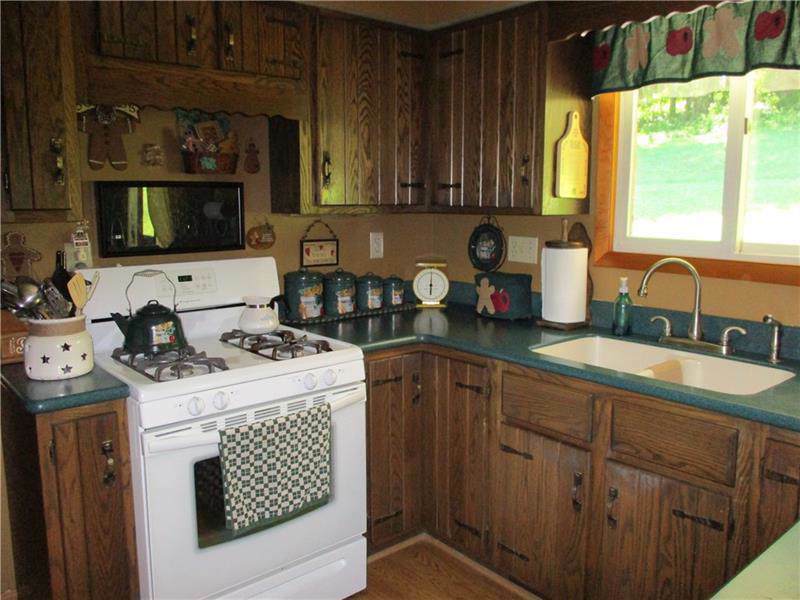 A large laundry room with an additional gas range and kitchen sink is located in the basement, which also has access to the integral 2 car garage. There is additional parking with a paved driveway. Courtesy of Hometown Properties Inc.. © 2019 West Penn Multi-List, Inc. All Rights Reserved. Information Deemed Reliable But Not Guaranteed.